Don't forget to read Act 1: The Wedding! CAITLIN: I am obsessed with Harry Potter and I am thrilled to be back at Universal Orlando since I missed the opening of Diagon Alley by only a month when we visited last year!!!!!!!! CAITLIN: I cannot calm down!!!! I am too excited!!!! Harry Potter!!!!!!!!! CAITLIN, DAN: Time for water rides! CAITLIN, DAN, EILEEN, DAD, TIM, COLLEEN, KEVIN (FAMILY): We are soaked, good thing it's 95 degrees out! CAITLIN: (In awe) It's amazing... London and Gringott's and Weasleys Wizarding Wheezes and Florean Fortescue's Ice Cream and The Leaky Cauldron and Knockturn Alley and everything!! DAD: That was my favorite ride here! Let's wander over to the Simpsons area. CAITLIN: Hey look! Let's get our picture taken with them!! FAMILY: We are tired, but we fight through the exhaustion!! 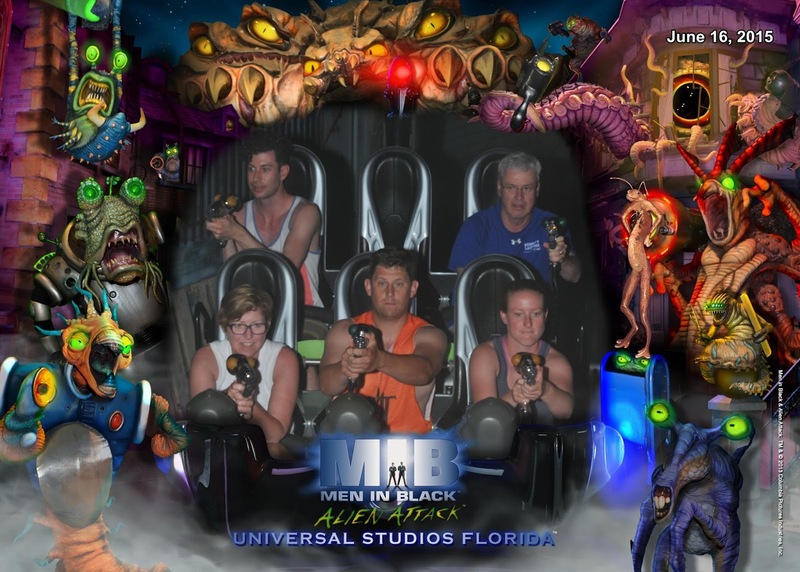 Let's ride more rides, especially the Men In Black ride where you get to shoot aliens! Yay!! Stay tuned for Act 3: The Beach!! !